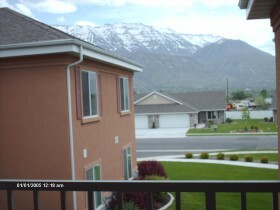 Are you looking for an American Fork Utah Condo? Below is a condo that Team Teasdale sold a few years ago. Would you like a list American Fork Utah Condos? List of American Fork Utah Condos or you can call us directly and we will do a search for you and start showing you some condos. If you do your own search and register on our website our system will email you the new American Fork Utah Condos as they come for sale. It is a great idea to be the first one to know about a new listing in American Fork. We stongly suggest doing a search and registering on our website. Remarks: 54+ *** Upgrades galore *** Small animals ok, Mtn View, Fab clubhouse (indoor pool/spa, fitness center, library, beauty shop, craft area). Activities include book & movie clubs, family night, humanitarian day, craft day, game day. Elevator 1-level living.